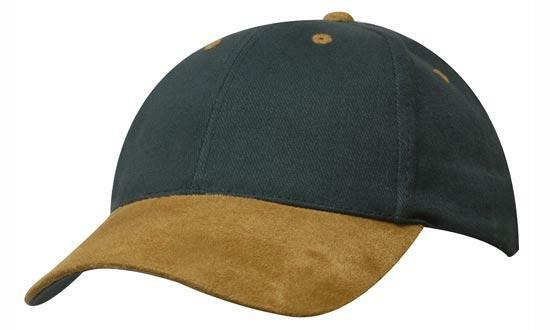 With a stylish suede finish on the peak, the Suede Peak Brushed Heavy Cotton Cap screams quality. 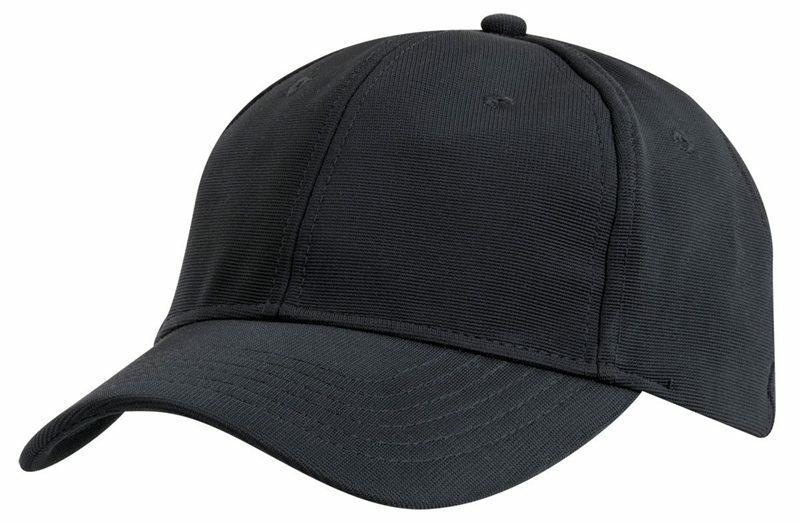 Caps don’t only keep you cool, they also make you look cool. 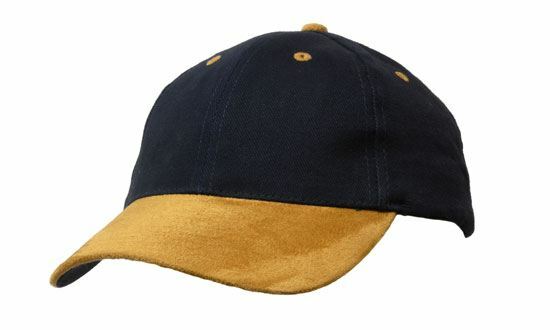 Cool as they already are, we’ve decided to take the coolness notch to the next level by adding a touch of suede. Our custom promotional Suede Peak Brushed Heavy Cotton Cap brings the swag out of the bag. A very stylish promotional cap like this will surely make your organisation stand out. 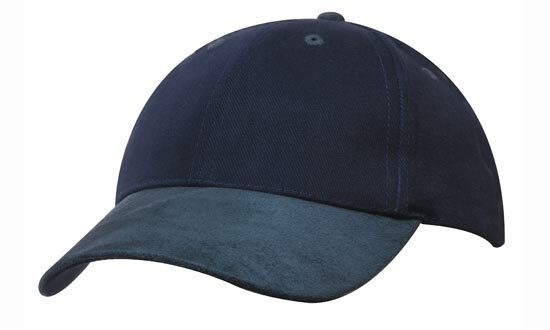 The personalised Suede Peak Brushed Heavy Cotton Cap is structured in six panels. 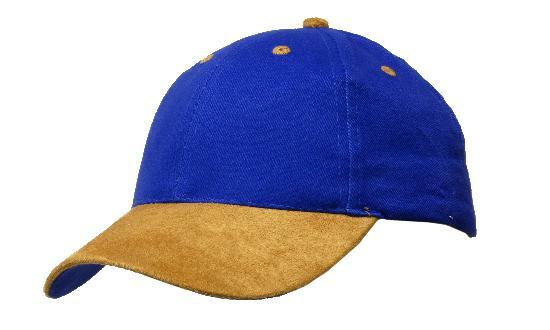 The underneath part is layered with brushed cotton, while the peaks are layered on top with elegant looking suede. 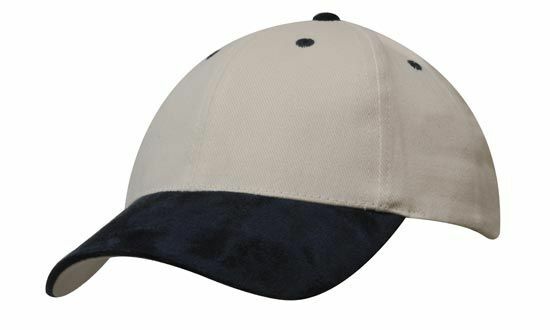 The Peaks are also pre-curved, offering sun protection from the sides. 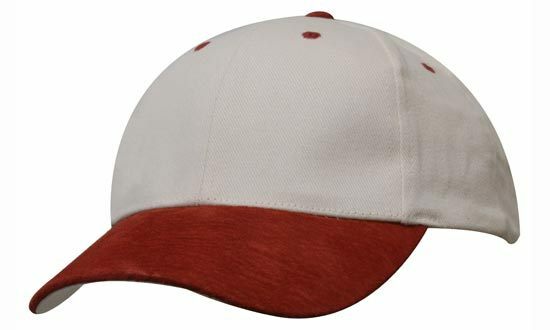 Send us your decoration and tell us how you’d like it put on to the cap. 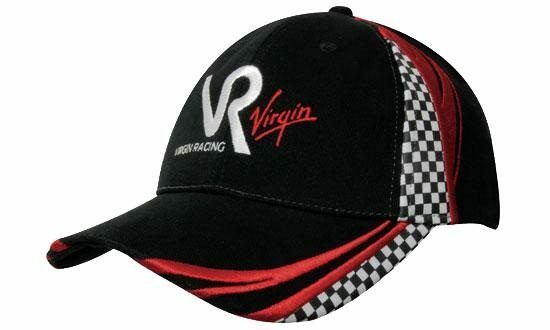 You can either choose to have them embroidered or printed. 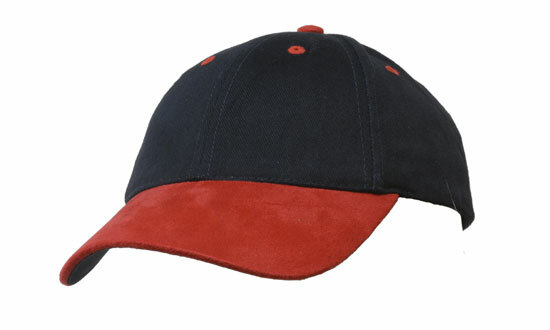 Stitching options for embroidered designs are up to twelve thousand stitches. For printed designs, we can print them with up to seven colours. Cool hey! 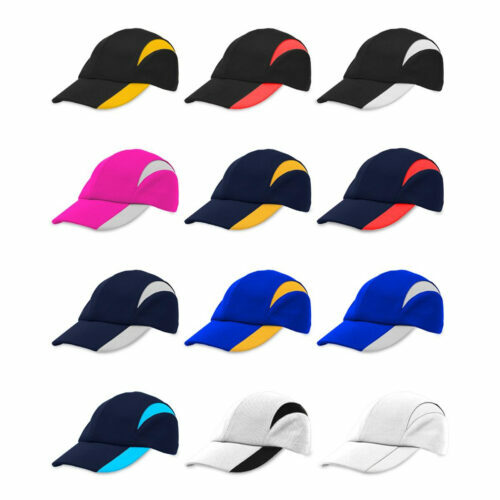 For these caps, we have a wide selection of colour combinations to choose from. 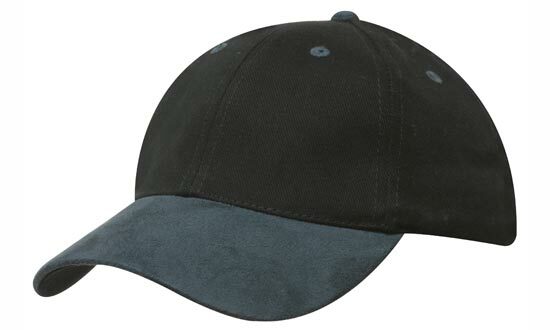 We have classic combos such as black/black, black/grey, navy/grey, and natural/navy, just to name a few. If you’re looking for something more hip, we have black/red, black/tan, natural/red, and black bottle. Want something as cool and as awesome as the branded Suede Peak Brushed Heavy Cotton Caps? 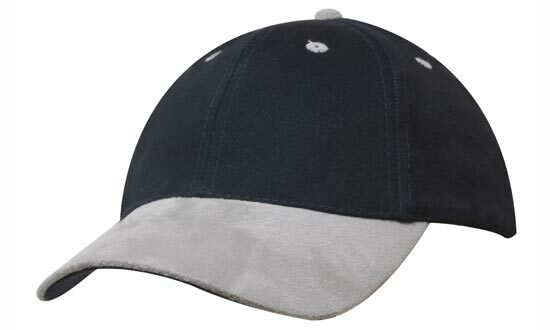 Have a look at the Tyre Tracks Heavy Brushed Cotton Caps. 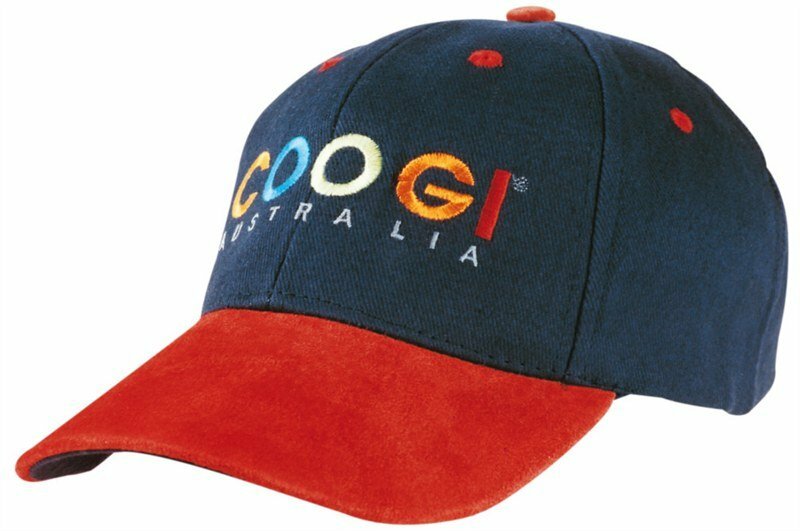 These caps feature a ribbed tyre track design; how gnarly is that? Or if you want something a bit more radical, then check out the customised Heavy Cotton Flame Cap. 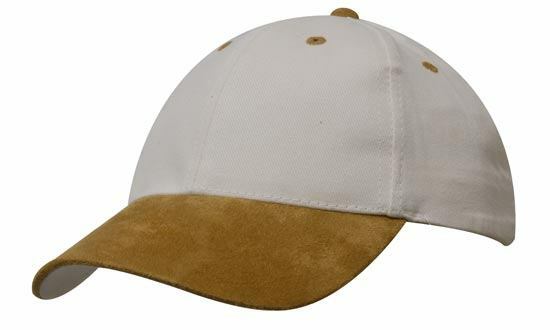 This cap will keep you cool while looking hot at the same time. 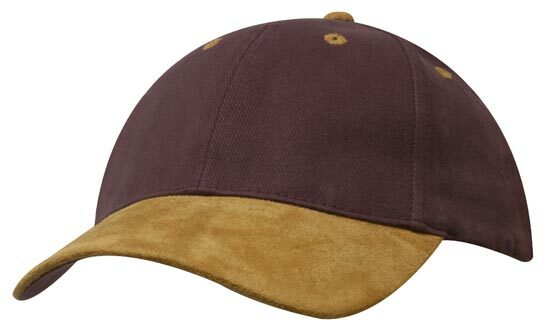 Be a trendsetter with our custom Suede Peak Brushed Heavy Cotton Cap. 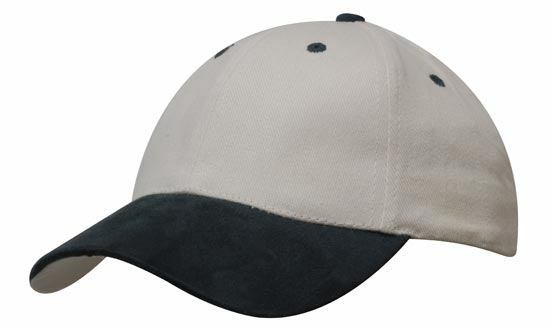 This headwear combines form and function to make a one of a kind giveaway item! Making a unique impression? Try our promotional M&Ms Coloured Noodle Box, and our other promotional confectioneries. Give us a buzz when you’re ready. We’re available on live chat, or you can also give us a call on 1300 008 300. We are always excited to hear from you.